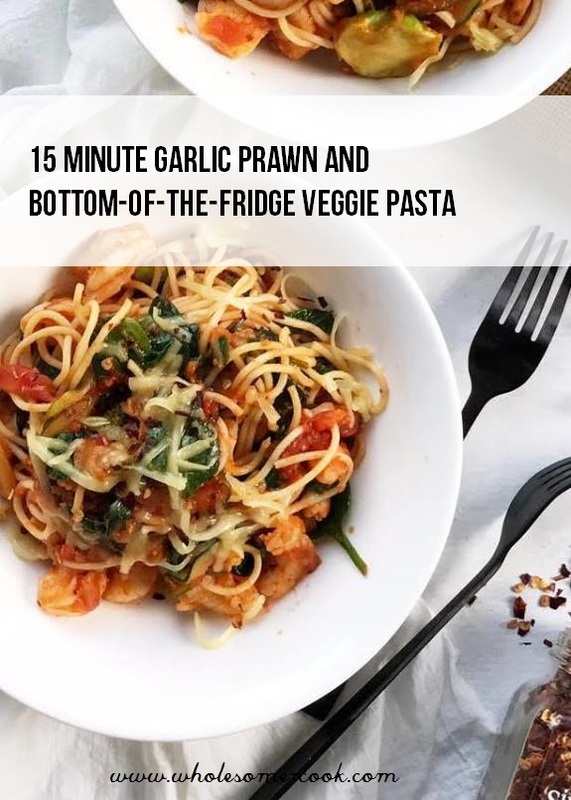 After a long day at work, 15 minute meals are the best and this garlic prawn and veg pasta is no exception. It’s comforting, immune-health boosting and comes loaded with veggieful additions that will help you reduce your grocery bill and food waste at home. Hang on, you might be thinking, don’t you work from home meaning that you can spend a lot more time preparing dinner? Well, yes, but not always…I’m sure a lot of my mummy readers can relate. The last 3 weeks have been especially tasking with my second book manuscript coming back from the editor and Mialinka permanently dropping the third day-time nap. My superstar Mum has been helping me look after her while I spent most of my other free time, most nights till 1am, reading and reviewing notes from the editor. I am REALLY excited about this book and will share more details in a post soon! I also like the fact that it comes loaded with veggies, most of which are odd bits and bobs from the bottom of the fridge cripser. 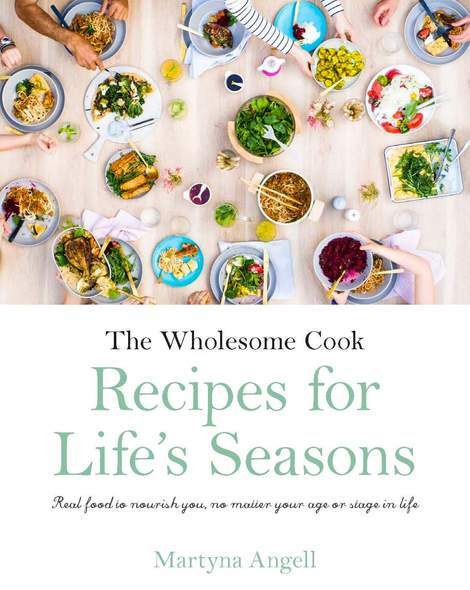 Things like peeled broccoli stalks, any leftover baby spinach leaves, a handful of cherry tomatoes, the odd sprig of spring onion, bits of fennel, capsicum and carrot. You can use 2 cups of any mixed veggies here. When buying prawns for this dish, buy peeled green prawns but make sure they are local (Australian), fresh and sea-caught. Check the country of origin label on your product as many frozen peeled raw prawns come from China or Thailand. 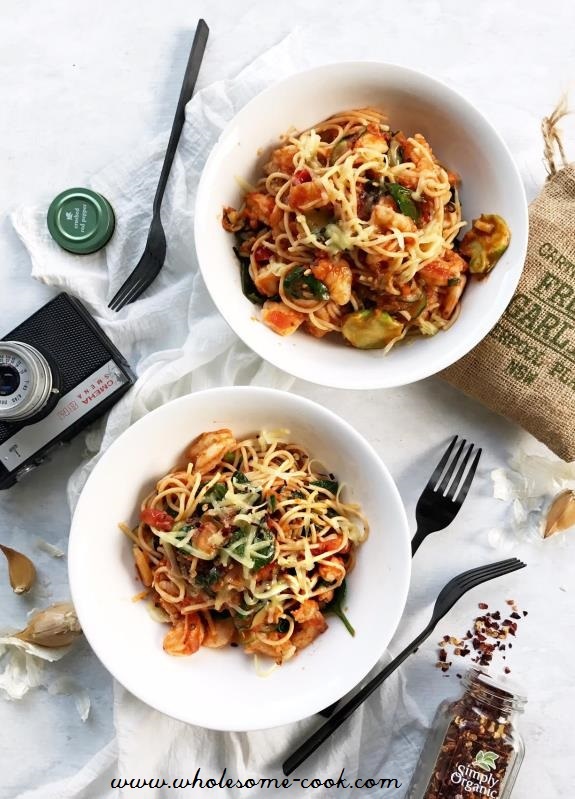 Use any leftover baby spinach leaves and cherry tomatoes, small-bite-sized pieces of peeled broccoli stalks, finely chopped sprig of spring onion or bits of fennel, capsicum, grated carrot, zucchini or sweet potato. You should have about 2 tightly-packed cups of veggies to serve 4 people. Bring a large pot of water to the boil. Add spaghetti and salt and cook for 8-10 minutes (check packet instructions). Meanwhile, heat 1 tablespoon of oil in s a large saucepan over medium high heat. Add vegetables and cook for 2 minutes before stir frying for another minute or so. Transfer to a clean bowl and cover with a plate or lid for the veggies to continue steaming. Return pan to the heat, add remaining oil and chopped prawn meat. Cook, stirring for 3 minutes. Stir through garlic and transfer the prawns into the bowl with vegetables. Drain pasta and return to the pot set over high heat. Add pasta sauce, vegetables and prawn mixture and stir to combine. Cook for a minute to warm everyting through. Season with chilli. Divide between 4 serving bowls and serve with a little cheese grated on top. Wow! 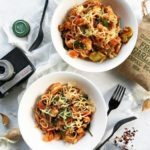 Its looks so beautiful and colourful, I Love pasta recipes, thanks for sharing wonderful recipe! !Thank you. I loved this. We had this last night paired with grilled chicken and it was so good. The effort to prepare this is definitely worth it.